Traditional village is one of the Vietnamese prides. 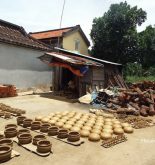 Regarding to Hoi An, it is believed that Kim Bong carpentry village has become the brand that goes on in the minds of many people in the old town. Kim Bong village is located in Cam Kim commune, Hoi An, Quang Nam. The village has history of more than 600 years, which is settled in the fifteenth century by four soldiers from the army of Emperor Le Loi. 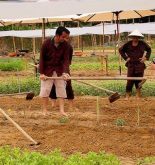 They were adept in woodworking, and went to establish the village of four most notable craft families (Huynh, Nguyen, Phan, and Truong). 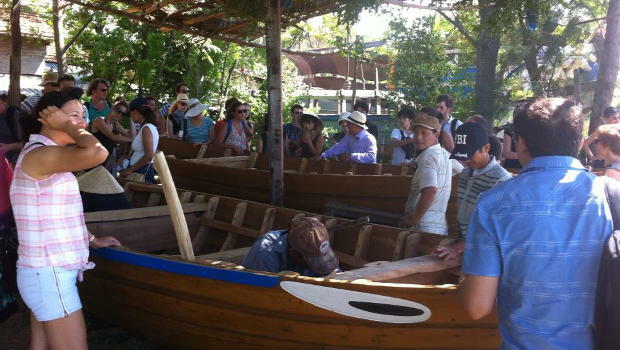 To get to Kim Bong carpentry village, visitors will get in a Hoi An boat floating on the romantic Thu Bon River, enjoy the tranquility before landing on the Cam Kim island commune. Formed from the 15th century to the late 16th century, early 17th century, Kim Bong carpentry began to develop thanks to the prosperity of the trading port of Hoi An. By the 18th century, the craft flourished and became prosperous career with three distinct groups: carpentry construction works of urban architecture, carpentry and shipbuilding, ship carpentry. 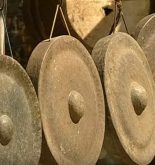 The village is famous for the most ancient architecture of Hoi An, made by so talented hands of their fathers from the day they made the golden international trade port . Carpentry of the village is derived from the North. Through the exchange, Kim Bong carpentry artists had absorbed some of the quintessence of traditional Cham sculpture carvings, Chinese, Japanese … combined with the virtuosity of their own to make the work is full of art and philosophy. Therefore, until now, the wooden products such as furniture, cabinetry, statues branded with Kim Bong village is choice of woody lovers. Coming to Kim Bong carpentry village, visitors have the opportunity to visit a carpentry workshop in direct view of the touch features and talented workers. They are directly able to observe craftsmen creating artistic work and purchase the their products. Here are showcasing unique products such as the clove carved dragon 1000 image of bamboo, have been exhibited on the anniversary of 1000 years of Thang Long in Hanoi, Hoi An Pagoda Bridge can be transferred intact … Visit and learn about Kim Bong Carpentry Village, so that you can understand a little more about the traditional craft village in Vietnam, and satisfy your desire for art on wood.